Beginners classes are starting soon, commencing 4 February 2019, from 7.30pm to 9.00pm. They are especially for people who have never danced before, or who danced a long time ago and need a refresher. 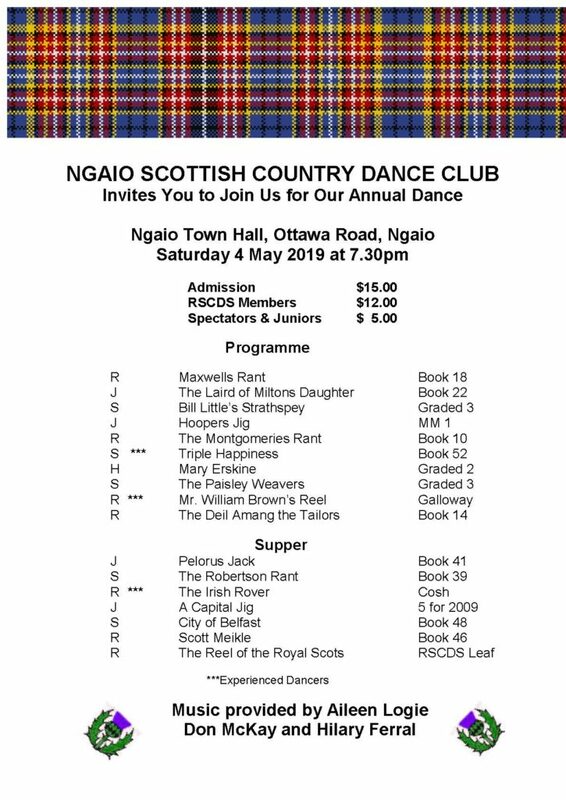 You don’t need to be Scottish to enjoy Scottish Country Dancing! The cost for the four lessons is just $25. As dancing gets you moving, you will warm up quickly, so wear cool clothing. To start with you can wear soft soled shoes – the thinner the better. 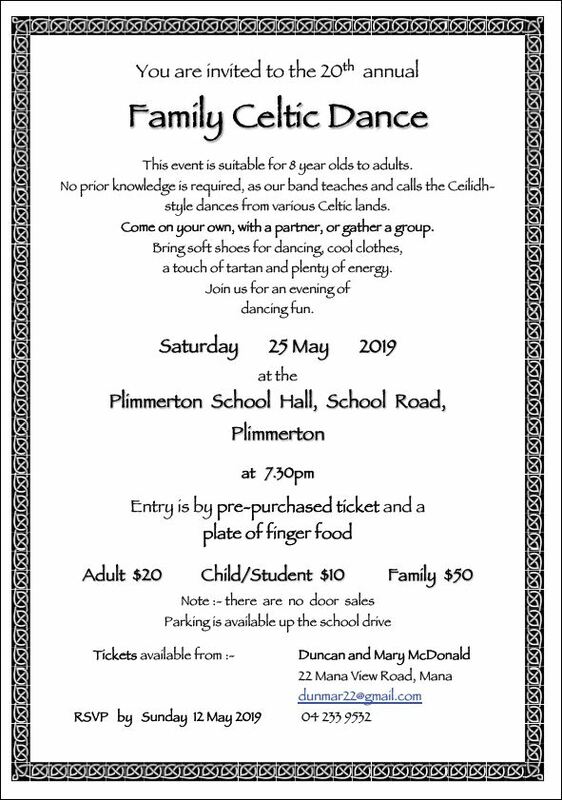 A regular dance partner is not required for Scottish Country Dancing as it is customary to dance with a different partner for each dance, making it a very social form of dancing. 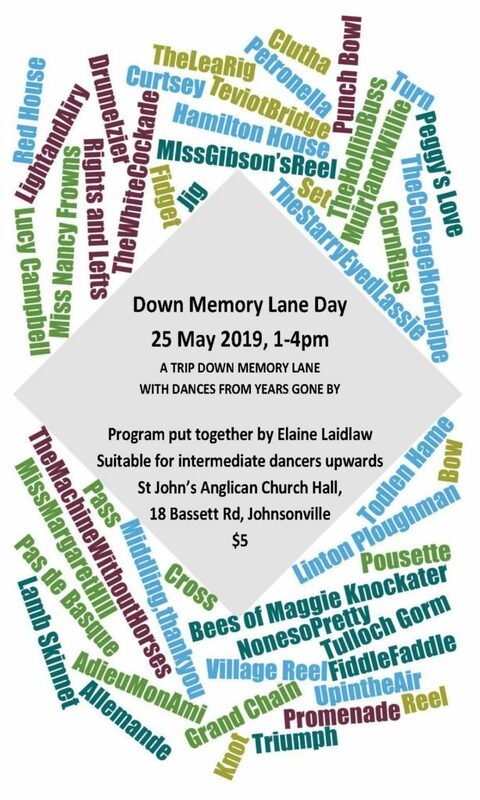 Dances are usually danced in a set of eight people – 4 men and 4 women arranged either in two lines (men facing women) or in a square, and they work together to dance a sequence of formations. There are several basic steps and about a dozen figures which will get you through quite a number of dances. 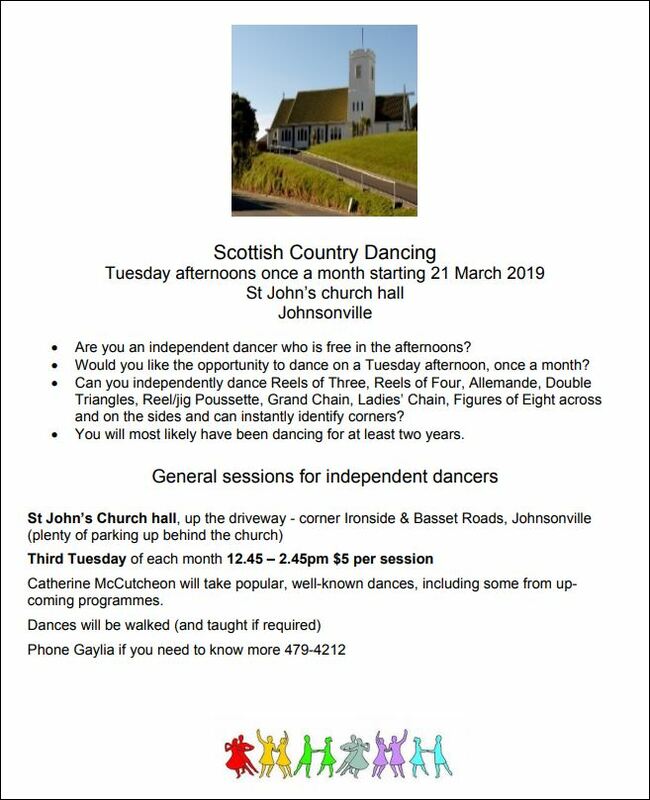 There is also more emphasis on “steps” than in, say, ceilidh dancing, but the basic technique can be learned through a couple of months’ worth of practice evenings once a week at Club nights. 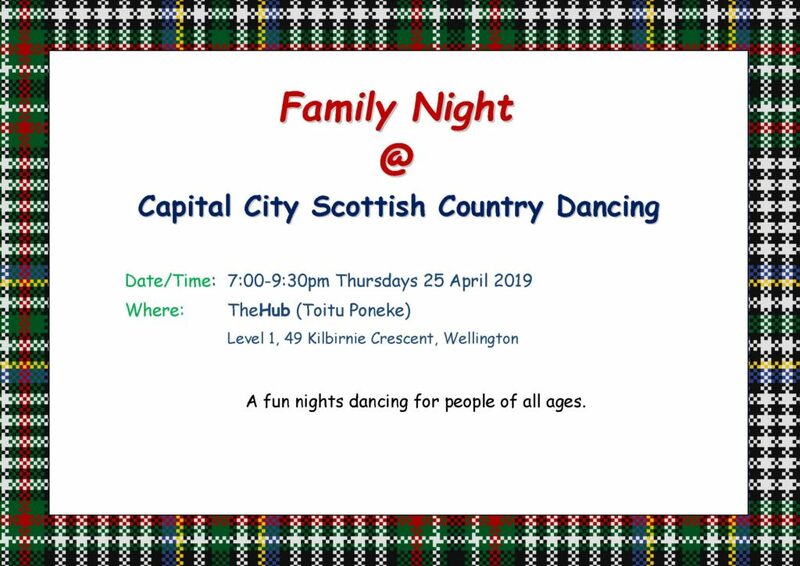 Club nights, schools, balls and social dances are held in places all over New Zealand and the world. 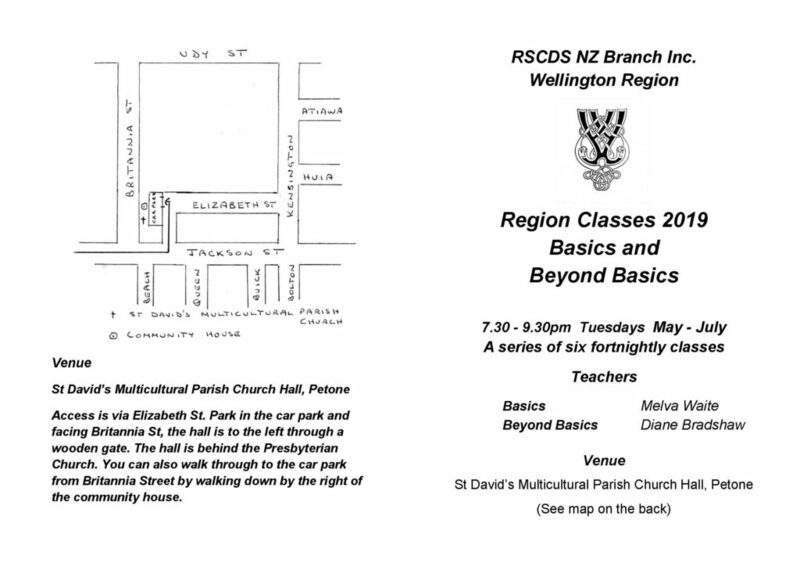 Once you know the basics, you can join in anywhere in New Zealand or around the world. This entry was posted in News on 13/01/2019 by admin.